A terrible accident leaves one experienced alpinist dead, but a remarkable rescue delivers his two teammates back from the edge. The helicopter in the landing zone on the 5,900-meter col during the rescue of Bruce Normand and Timothy Miller from Ultar Sar. At around 3:00 pm Mountain Daylight Time, on Friday, June 29, Jed Brown, an Assistant Professor in the Department of Computer Science at the University of Colorado Boulder, was at work. 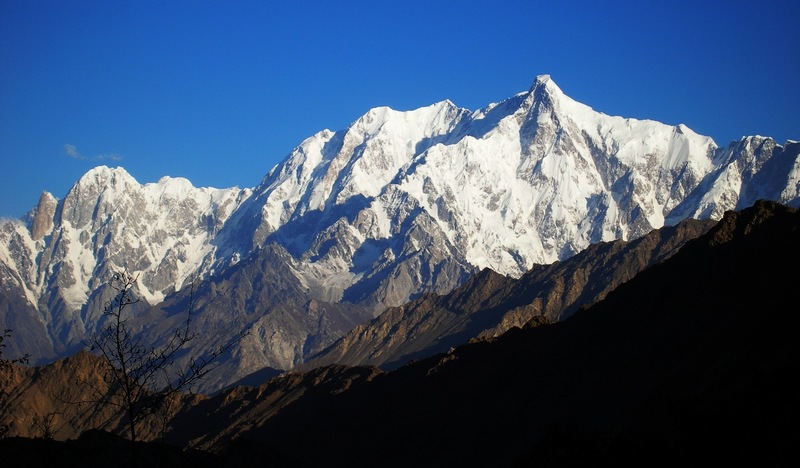 He received a text message from one of his longtime climbing partners, the 51-year-old Scotsman Bruce Normand, who was currently on expedition to the 7,388-meter Ultar Sar, in Pakistan. 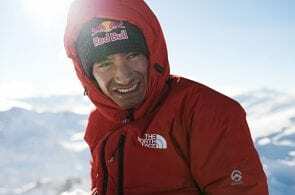 Along with Christian Huber, an Austrian who had been living in Boulder Colorado for about 20 years, and Timothy Miller, 21, also of Scotland, Normand was trying to make the first ascent of the mountain’s southeast pillar—a high-altitude, unclimbed mountaineering objective rivaled by few other projects in the world for prestige and allure. Meeting up for their expedition in the Karakoram in late Spring, Normand, Miller and Huber were coming from all over the world from all walks of life. 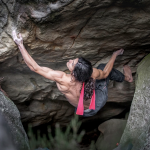 Unlike the Ueli Stecks and Dani Arnolds of the world, these climbers work day jobs. Normand is a theoretical physicist, and Christian Huber was an electronic engineer. Before heading for Ultar Sar, the team acclimatized on the south side of Batura, a different 7,000 meter peak. They then made the trek from Karimabad to a more advanced camp on the moraine below the mountain. They had no permanent support crew at their final camp. Ultar ridge from Nagar Valley. The highest peak is Ultar Sar, with the prominent southeast pillar angling up and left. Photo: Eleutherosmartin. Jed Brown was one of the team’s primary points of contact, providing them with the best weather forecasts available for the region. 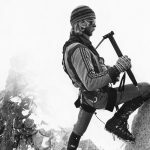 He had climbed with Normand extensively, notably on an expedition to the Xuelian Group in northwestern China, along with the late Kyle Dempster. The men won a Piolet d’Or in 2010 for their 2009 ascent of the north face of Xuelian West. 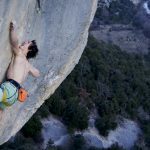 Despite excellent conditions while acclimatizing, the weather took a turn for the worse once Normand, Miller and Huber turned their attention to the southeast pillar. Instead, they spent time going up the east ridge to around 5,500 meters to maintain their fitness. Back in Colorado, Brown distilled the weather forecasts from various sources—the nearest weather station to Ultar Sar is 250 kilometers away—but the coming days still looked iffy, with intermittent squalls and cloud cover. A short weather window appeared on the forecast for Tuesday and Wednesday—“Not awesome, but better than they had been seeing,” Brown says. A small storm system looked likely to follow on Thursday and Friday, but it didn’t look all that worrisome at that time. Normand, Huber and Miller made good progress on this lower part of the route. On Wednesday, June 27, they climbed a narrow, diagonal snow ridge up to a small but pronounced col situated at approximately 5,900 meters. There, they made camp. 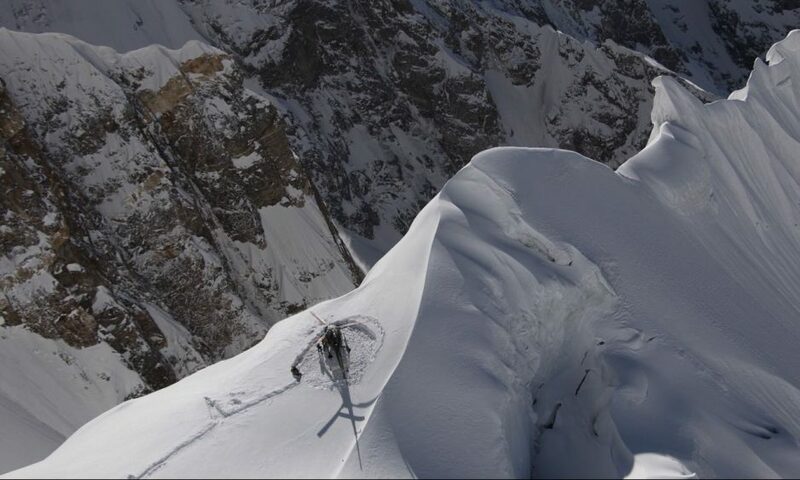 Reminiscent of the Walker Spur on the North Face of the Grand Jorasses, in France, the southeast pillar of Ultar Sar was first attempted in August 1992 by a three-man Japanese team, led by Toshio Narita. Ultar Sar had yet to be climbed by any aspect at that point. Narita and company reached 5,400 meters before turning back. 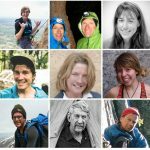 With the main summit conquered, attention among high-end alpinists returned to the southeast pillar. In 2000, Yannick Graziani, Erwin le Lann, Jerome Blanc Gras and Hervé Qualizza, all of France, hoped to try the pillar, but were stymied by weather. In 2005, Graziani and fellow Frenchman Christian Trommsdorff made it to approximately 5,900 meters, to the same col where Normand, Huber and Miller stopped to make camp on Wednesday, June 27. Graziani and Trommsdorff retreated from there. In September 2011, the Japanese alpinists Yusuke Sato and Fumitaka Ichimura took a crack at the pillar. Over the course of five days they managed to reach a new highpoint of 6,500 meters. With nearly 1,000 meters of steep, unexplored terrain still above, dwindling food and deteriorating weather, they turned around. Like the north ridge of Latok I— first tried by Jeff Lowe, Michael Kennedy, George Lowe and Jim Donini in 1978—the southeast pillar of Ultar Sar has vexed all those who dare challenge it. 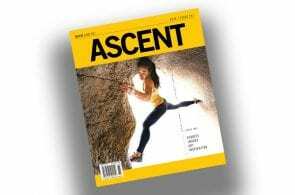 But not one to shy away from a challenge, Bruce Normand—one of the leading exploratory climbers and first ascentionists in China and Pakistan over the past decade—signed himself up, along with Christian Huber and Timothy Miller. Brown continued to communicate with Normand, Miller and Huber throughout Wednesday, June 27. The three climbers hunkered down in their Black Diamond Firstlight tent and waited out the pummeling snow. “It snowed all day Thursday and then picked up Thursday evening through Friday,” Brown says. Over 70 centimeters of fresh powder blanketed the col and the ramps above. Forecasts showed clearer weather Saturday through Monday, so the team planned to ride out the worst of the storm and then descend back to the valley floor. The southeast pillar of Ultar Sar. 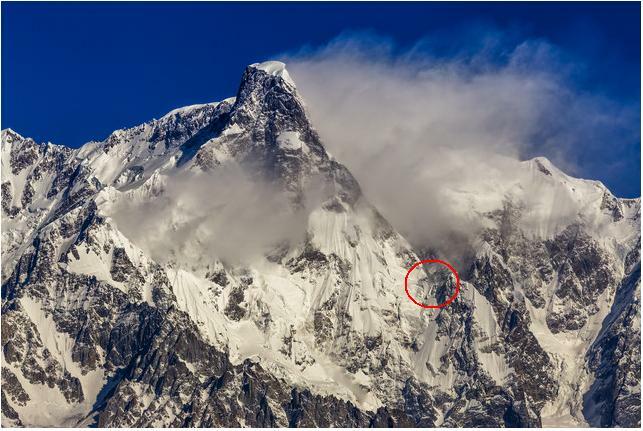 The red circle is the col at 5,900 meters where the avalanche buried Miller, Huber and Normand’s tent. Then, on Friday afternoon, when just enough snow had accumulated to upset the angle of repose on the slope above the team’s bivy, everything slid. The team’s tent was swallowed by an avalanche and buried under two meters of snow. In an email to Rock and Ice, Tim Miller wrote, “I was at the back of the tent and I ripped open a hole and managed to dig myself out. I then dug down to the other two who had been at the other end of the tent. When I managed to find them our partner Christian had unfortunately already suffocated. Thankfully I managed to save Bruce. After he and Miller recovered clothing and supplies and set up their broken tent as best they could, Normand sent those first two messages—“Tent avalanched c2. 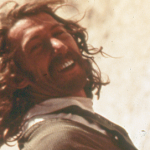 … christian dead,” and, “We are ok …Not sure could get heli”—at which point Brown sprang into action. Over the next eight hours, Brown, along with people connected with the climbers, namely the expedition’s Sirdar, Abdul Ghafoor, and his brother, Abdul Karim; others knowledgeable about rescue operations—Graham Williams, Jewell Lund, and Jesse Mease; and climbers who had tried the route previously—particularly Yusuke Sato and Christian Tromssdorff—started the wheels turning on a helicopter rescue. Yusuke Sato—one of the two Japanese climbers who had reached the route’s highpoint in 2011—was able to provide invaluable photos looking down on the col where Normand and Miller were stranded. This helped Askari Aviation, the helicopter operator that would conduct the rescue operation, assess the viability of a landing and rescue. Unstable weather prevented a helicopter rescue on Saturday. On Sunday, July 1, the skies began to cooperate. Low-hanging fog kept the choppers grounded in Skardu in the early dawn, but when the mist lifted two helicopters flew toward Ultar Sar. Around 7:30 am, one of the choppers, flown by pilots Zia and Abid, plucked Normand and Huber’s body off the col, taking advantage of a landing platform that Normand and Miller had prepared. Then, the second helicopter, flown by the operations lead pilot, Maj. Fakhar-e-Abbas, along with his assistant pilot Irtaza, retrieved Miller and the remaining two packs. Brown notes that the col was pretty much the only place on that side of the mountain where a helicopter rescue could have taken place. 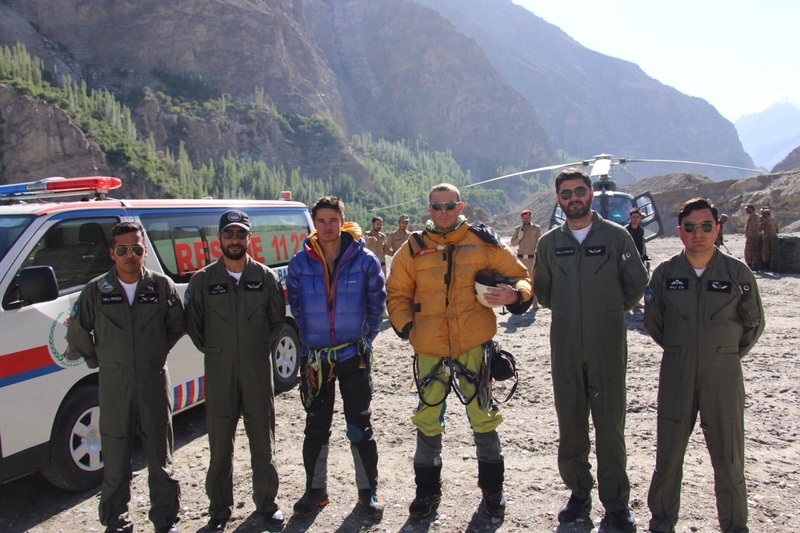 The AS350 B3 helicopter that Fakhar-e-Abbass was flying is not designed to fly above 4,600 meters; the rescue took place at almost 5,900 meters.